Addictionsauces.com offers shipping of all products within the US and Internationally. Shipping costs are calculated when you choose your shipping method during checkout. Shipping charges are calculated using published FEDEX and USPS rates based upon weight, size and destination address. Shipments are delivered Monday – Friday with the exception of FEDEX which has Saturday delivery as well. Orders must be received by 2pm EST to be processed the same business day. All orders received after 2pm EST will be processed the following business day. Business days are Monday-Friday, excluding federal holidays within the United States. Please note that we do not send out partial orders. If an item you ordered is on back order, we will wait until the item is back in stock and then ship your entire order. If you receive a package and it does not contain all products ordered, you must contact us within 7 business days or your claim may not be processed. Addictionsauces.com is not responsible for lost orders due to incorrect shipping information. It is your responsibility to provide the most accurate up-to-date e-mail, billing, and shipping information. Please enter your address information in the appropriate boxes and double-check for typos and other errors. Orders which are re-routed to a different address (for any reason) may incur additional shipping charges. We are not responsible for lost or stolen items delivered in accordance with our delivery practices noted. Unless otherwise mentioned in an items description, items usually ship from our warehouse within 24 to 48 hours from the time of placing your order. Your tracking number will be entered into our online FEDEX Tracking System before every order is shipped. All FEDEX tracking information is accessible through your member area using the My Account Login. 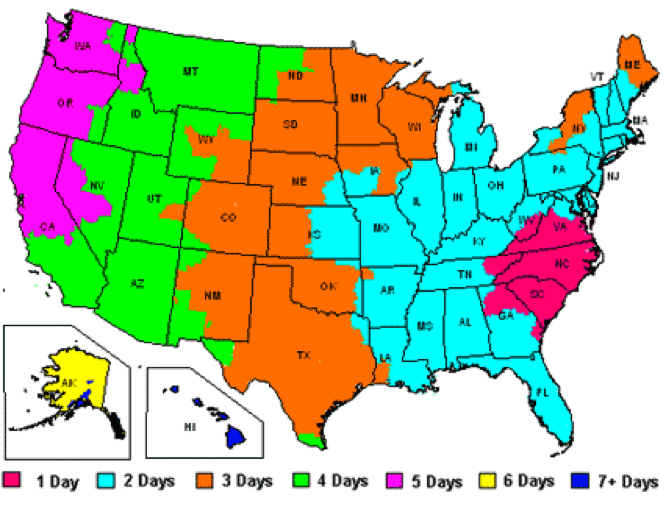 Please check the FedEx Ground map which will indicate how many business days it will take for your order to arrive once it has been shipped.